👍 Vitamin C stimulates DNA repair due to environmental and internal toxins. 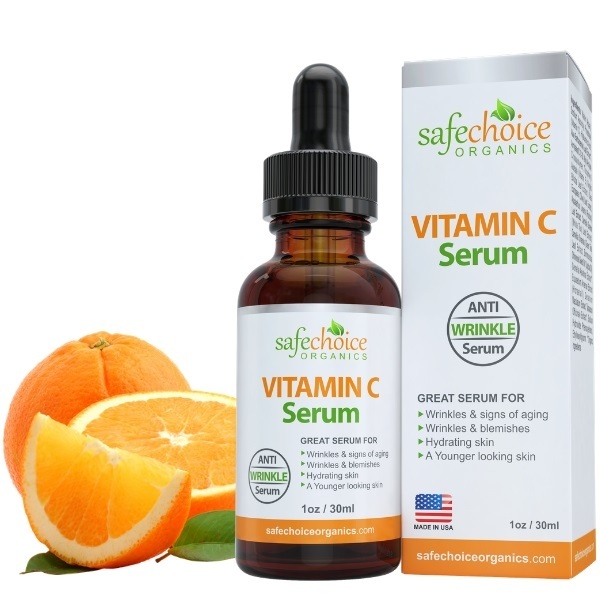 👍 Vitamin C also increases the proliferation rate of new skin cells, something that decreases as we age, making it a perfect choice for damaged and aging skin repair. 👍 Vitamin-C promotes rapid skin damage repair, the same thing it does on wound healing & prevention of diseases like flu. Vitamin-E is a fat-soluble (absorbs quickly without leaving your skin oily) nutrient with potent antioxidant and skin repair properties. It takes 14-21 days for dietary vitamin-e to get to the skin 😱 and only small amounts get there. (2) This explains why it is only better to use Vitamin-E oil topically (on the skin) as it absorbs super fast (less than 30 minutes) and has excellent results. 👍 Vitamin E oil contributes to antioxidant defenses, works together with Vitamin-C above (apply at night for better results). 👍 Vitamin-E promotes scar and rapid skin lesion healing. Conclusion: Oral supplementation with only vitamin E may not provide adequate protection for the skin. Skin(topical) application of vitamin E and vitamin C may be warranted to effectively increase the photoprotection of skin. Topical vitamin E seems to be an effective mechanism for both delivery to the skin and providing a photoprotective effect.